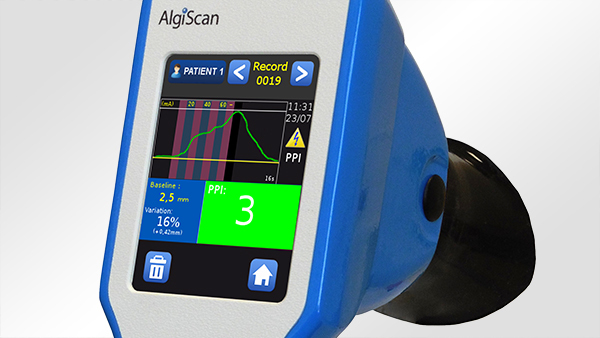 The AlgiScan uses pupillometry technology to objectively measure the patient’s level of analgesia. This technic is well published and documented. 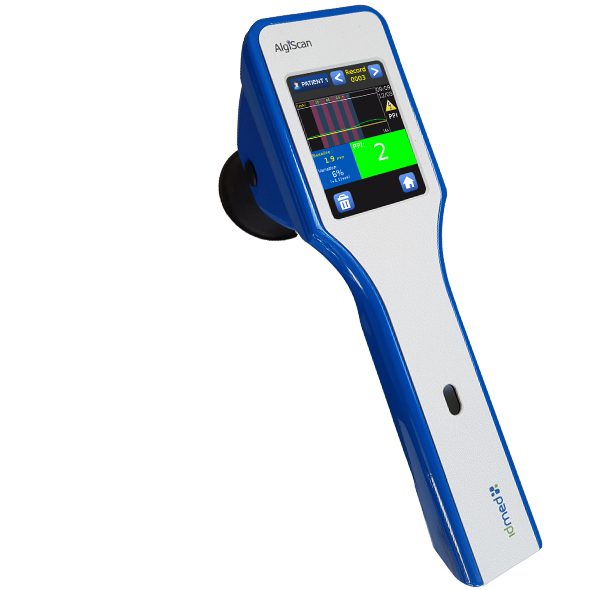 It offers robust and relevant results for the evaluation of the sensibility level to nociception and the prediction of haemodynamic reactions to nociceptive stimuli. 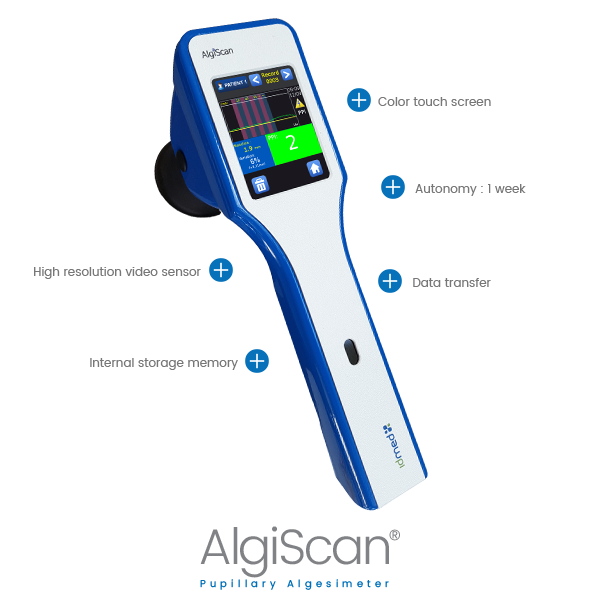 The fast and non invasive measurements bring unequalled precision while safe for the eye. 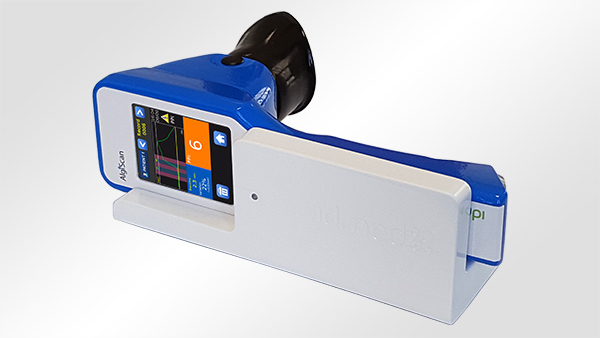 The integrated lighting system offers the possibility to do the routine check of the pupil size and reactivity with reliable measurements. 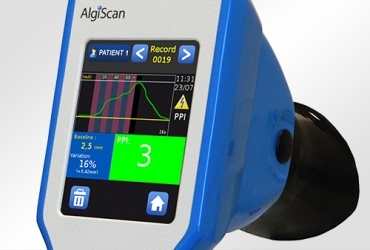 With its small size it is possible to position the AlgiScan on all types of morphology and to easily access the pupil for measurements in PACU and ICU. 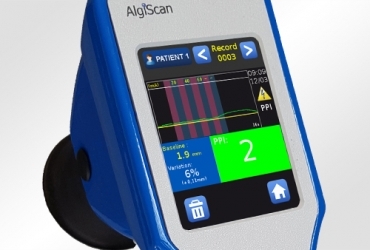 The AlgiScan is a portable and intuitive device for the assessment of patient analgesia in all situations. Its reusable and autoclavable eyecup eliminates any extra cost in use. 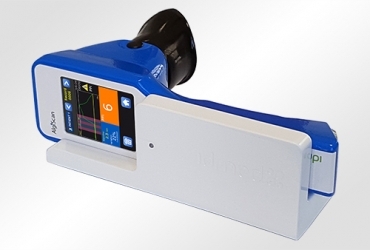 Its design and the materials used provide ergonomics and absolute comfort for the patient while eliminating the influence of ambient lights on measurement results. The STA-W1 charging station makes it easy to recharge the AlgiScan at any time.